Changing to a gluten free diet is a great opportunity to eat well and take control of your health. If you are concerned that a gluten free diet might mean cutting out many of your favorite foods and accepting a less enjoyable and less flavorful diet, you can rest assured that nothing could be further from the truth. Read on to find out the benefits of gluten free diet and decide for yourself if going gluten free would be the right choice for you! Gluten is a protein found in wheat, spelt – an ancient form of wheat, rye, barley and triticale – a hybrid of wheat (Triticum) and rye (Secale), and in foods made from these grains, such as cakes, pastry, bread and pasta. Gluten has qualities useful for cooking and baking, including elasticity, an ability to hold water and a tendency to hold shape and harden in high heat. It is gluten in flour that gives bread and baked goods, such as cakes and muffins, their characteristic texture and structure. The agency would deem a product as misbranded after reviewing labels, an on-site inspection of the food manufacturer or an analysis of food samples. 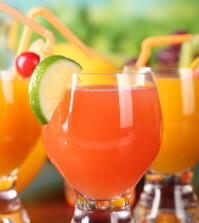 “Only those foods that have been specially processed or formulated to meet the needs of individuals, including individuals with celiac disease, who need to follow a gluten free diet in order to protect their health, are considered foods for special dietary purposes and are allowed to carry a gluten free claim… If a food is determined to be protective of the health of people with celiac disease, and meets the other requirements of Division 24 (specially processed and formulated), it follows such a food should be able to use the claim “gluten‑free”, as long as it is being done in a manner that is truthful and not misleading. “Based on the available scientific evidence, Health Canada considers that gluten free foods, prepared under good manufacturing practices, which contain levels of gluten not exceeding 20 ppm as a result of cross-contamination, meet the health and safety intent of (subsection) B.24.018 when a gluten free claim is made.” Read the full health claim. In the UK, foods may be labeled gluten free if they contain less than 0.3% gluten. In Australia, gluten free foods must contain less than 0.003% gluten. A gluten free diet (GF diet) is a diet that excludes foods containing gluten. Going gluten free seems to be the newest dietary trend that many people are following, even if it is not mandatory for one’s health. This trend was brought on by an increased number of cases of coeliac disease and gluten sensitivity, also referred to as gluten intolerance. Both diagnoses come with the recommendation of avoiding gluten-containing foods. A gluten free diet might also exclude oats. Medical practitioners are divided on whether oats are acceptable to coeliac disease sufferers or whether they become cross-contaminated in milling facilities by other grains. 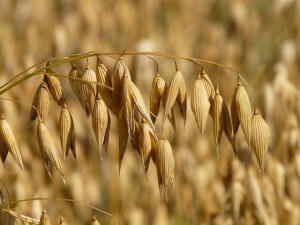 Oats may also be contaminated when grown in rotation with wheat when wheat seeds from the previous harvest sprout up the next season in the oat field and are harvested along with the oats. The good news is there are specialty companies in North America and Europe who produce pure, uncontaminated oat products that are grown on dedicated fields and equipment and packaged in dedicated gluten free facilities. Several grains and starch sources are considered acceptable for a gluten free diet. The most frequently used are corn, potatoes, rice, and tapioca (derived from cassava). Other grains and starch sources generally considered suitable for gluten free diets include amaranth, arrowroot, millet, montina, lupin, quinoa, sorghum (jowar), taro, teff, chia seed, almond meal flour, coconut flour, pea flour, cornstarch and yam. Sometimes various types of bean, soybean and nut flours are used in gluten free products to add protein and dietary fiber. Almond flour has a low glycemic index. In spite of its name, buckwheat is not related to wheat. Pure buckwheat is considered acceptable for a gluten free diet, however many commercial buckwheat products are mixtures of wheat and buckwheat flours, and thus not gluten free. Gram flour, derived from chickpeas, also is gluten free (this is not the same as Graham flour made from wheat). Also known as gluten sensitive enteropathy, coeliac disease is an autoimmune disease that affects the small intestine causing it to become inflamed when gluten is digested. The immune system then generates an abnormal response to gluten and attacks its own intestinal tissue. This leads to the wasting away of the villi that line the small intestine, malabsorption of nutrients and thus malnutrition. Symptoms may include anemia, osteopenia, lactase deficiency, diarrhea, constipation, delayed growth, and weight loss due to malabsorption of nutrients. Other symptoms that may present are arthritis, dermatitis, infertility, muscle weakness and constant fatigue. A series of tests and evaluations are performed including an examination of one’s family history as genetic predisposition is common, blood tests, and the final confirmation of an intestinal biopsy. Once confirmed a strict adherence to a gluten free diet is necessary. There are cases where symptoms are less severe, which may be considered gluten sensitivity, whereas severe cases would be labeled as gluten intolerance due to the intensity and length of time symptoms last. Gluten sensitivity differs from coeliac disease in that the body views gluten as an invader causing a direct response in the form of inflammation inside and outside of the digestive tract, and with this disorder one’s own tissue (lining of small intestine) is not attacked, as we see with coeliac disease. Once gluten is removed from the body, the inflammation goes away unlike the symptoms associated with coeliac disease. Symptoms include bloating, abdominal discomfort, and diarrhea due to the inflammation of the digestive tract. Headaches, lethargy, attention deficit disorder, hyperactivity, muscle weakness/disturbances and joint pain may present as well. Tests performed for a diagnosis of coeliac disease are usually done with the findings not showing the indicators necessary, leading to a trial gluten free diet. With the diet, symptoms will disappear, and a diagnosis of gluten sensitivity will be given. Being gluten intolerant can often mean a person may also be wheat intolerant as well as suffer from the related inflammatory skin condition dermatitis herpetiformis, which is characterized by intensely itchy blisters on the buttocks, back of the neck, scalp, elbows, knees and back. It is more common in men than in women and it tipically appears between the ages of 15 and 40 years. Like coeliac disease it is caused by gluten and treated with a strict gluten free diet. The use of gluten free diets for other conditions remains controversial but many people with the conditions listed below feel that experimenting with a gluten free diet for a trial period may be worth trying. Multiple sclerosis is an auto-immune disease and people with MS have a greater risk of suffering from coeliac disease, although the use of a gluten free diet for people with MS remains controversial. The symptoms of coeliac disease and irritable bowel syndrome are very similar, and a recent study carried out by Coeliac UK revealed that nearly 60% of people with coeliac disease have previously been wrongly diagnosed with IBS. Lupus is another auto-immune disease where the body’s immune system becomes hyperactive and attacks healthy tissue. As coeliac disease is also auto-immune, lupus sufferers may be at greater risk of developing it. Evidence suggests undiagnosed coeliac disease could be one cause of infertility and repeated miscarriages. The proportion of women attending fertility clinics found to have undiagnosed coeliac disease is greater than in the general population. Eliminating gluten reduces stomach upset, diarrhea, abdominal cramping, gas, bloating and constipation in those with coeliac disease or gluten intolerance. People with gluten sensitivities report that eating gluten causes headaches, foggy thinking, ADHD-like symptoms and even depression. These side effects occurring in the brain are attributed to inflammatory molecules called cytokines, which are released when a sensitive person eats gluten. These cytokines are detrimental to brain function and high levels have been linked to Alzheimer’s, Parkinson’s and autism. 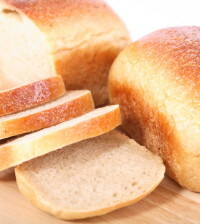 People with a gluten intolerance may experience joint pain, muscle cramping and numb legs as a result of eating gluten. Chronic inflammation can cause pain, disease and even cancer. Inflammation of skin tissues and itchy rashes may also be a sign of gluten intolerance. If you have a skin condition such as eczema, you may see an improvement by eliminating gluten. If a person with coeliac had the disease undiagnosed for a long period of time, or fails to maintain a gluten free lifestyle after diagnosis, the chance of developing small intestinal cancer increases. Those with celiac disease are especially more likely to develop lymphomas in the small intestine because of their compromised immune system. In the past the increased risk of celiacs developing lymphomas was quite high, 40-100% more likely. However, more recent studies have shown that the risk of lymphoma is slightly higher than the normal population—much less than previously believed—and that this risk reaches unity with the normal population after a gluten free diet has been maintained for several years. Recent studies have linked thyroid disease and coeliac disease. According to the University of Chicago Coeliac Disease Program, introducing a gluten free diet to patients with thyroiditis is effective in bringing autoantibodies down to normal levels. Going gluten free eliminates many processed foods from your diet like bagels, cookies and cereal. Also, gluten can be found in many foods that you may not expect, like salad dressings, yogurt and cold cuts. By eliminating your intake of these products, the calories and fat that you are cutting from your diet can help you lose weight. However, do not assume that every gluten free item is good for you. Gluten free products can be high in calories, fat and carbohydrates and some people who go gluten free actually gain weight. Gluten contributes to acne in two ways. First, it causes damage to the small intestine, which could lead to nutritional deficiencies and an increased toxic body load (through leaky gut syndrome). 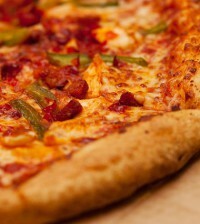 The second link between gluten and acne is inflammation. In people with gluten sensitivity, the immune system treats gluten as an invader. As they attack this invader the white cells release histamine, which increases inflammation. Inflammation increases insulin resistance in the nearby cells. Insulin resistance leads to blood sugar problems, which is linked to acne. Many patients with gluten sensitivity also have high cholesterol levels. On a gluten free diet cholesterol levels can drop by as much as 100 points. It is common to see improvement in small LDL subtypes of cholesterol levels after implementing a gluten free diet. If you have been diagnosed with high cholesterol and your doctor is trying to put you on a medication to reduce it, going gluten free may just do the trick. Fatigue is one of the most common symptoms of gluten intolerance because partially digested gluten has a molecular structure very similar to “opioids” – a class of substances that can affect our brain and our behavior. Many people have identified gluten as the source of their fatigue and have switched to a gluten free diet. By eliminating gluten the body doesn’t spend energy on digesting gluten, allowing it to focus on carrying oxygen to the muscles. This, some theorize, is why eliminating gluten may boost athletic performance. Untreated coeliac disease can lead to nutritional deficiency in iron, calcium, magnesium and zinc. Many gluten free products are not fortified or enriched by such nutrients as folate, iron, and fiber as traditional breads and cereals have been during the last century. 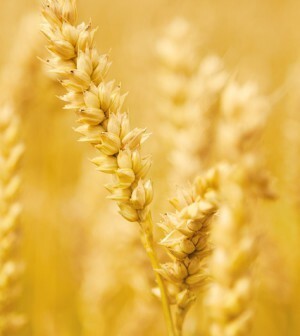 Additionally, because gluten free products are not always available, many Gluten-Sensitive Enteropathy (GSE) patients do not consume the recommended number of grain servings per day. The good news is that gluten free products are “evolving” and may become healthier overall as manufacturers develop ways to fortify them. Needed for the manufacture of red blood cells. Good gluten free sources of iron include lean red meat, eggs, quinoa, dried fruit, lentils and chickpeas, baked beans, dark green leafy vegetables. 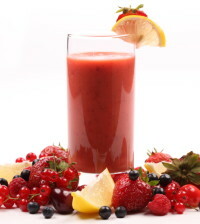 Needed for strong bones, especially important for children, teenagers and young adults. Good gluten free sources of calcium include yogurt, milk, cheese, canned fish eaten with their bones (e.g. sardines) almonds, sesame seeds, tofu. Helps maintain muscle and nerve function, a healthy immune system and strong bones. Good gluten free sources of magnesium include nuts and seeds, beans and pulses, brown rice, dark green leafy vegetables. Essential for growth and development, a healthy immune system and wound healing. Good gluten free sources of zinc include lean red meat, poultry, eggs, shellfish, beans and nuts, especially Brazil nuts. Involved in the production of red blood cells, folate can be found in oranges, green vegetables, chickpeas, pulses. Helps to keep the intestine healthy and prevent constipation. Good gluten free sources of dietary fiber include lentils, beans, pulses, quinoa, buckwheat, brown rice, fruit and vegetables. B12 is important for a healthy nervous system and is found in fish, lean red meat and eggs. People who change their standard gluten free diet to implement gluten free oats at breakfast, high fiber brown rice bread at lunch, and quinoa as a side at dinner have been found to have significant increases in protein (20.6 g versus 11 g), iron (18.4 mg versus 1.4 mg), calcium (182 mg versus 0 mg) and fiber (12.7 g versus 5 g). The B vitamin group did not have significant increases, but were still found to have improved values of thiamine, riboflavin, niacin, and folate. These dietary changes can greatly reduce a GSE patient’s risk for anemia (especially Iron Deficiency Anemia) and low blood calcium levels or poor bone health. Oats can increase intakes of vitamin B1, magnesium and zinc in coeliac disease patients in remission.